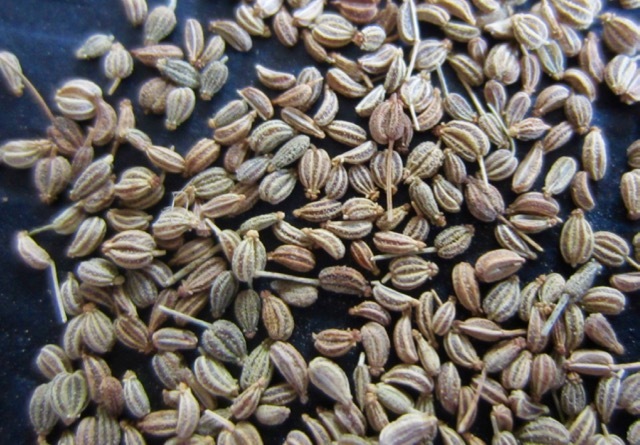 Ajwain is the seed-like fruits of the species Trachyspermum ammi, used as a spice. The fruits are usually marketed, whole, as ajwain seeds or carom seeds. It’s mainly cultivated in India and Iran. The seed-like-fruits are oval in shape and pale greenish brown in colour. They are botanically known as a schizocarp. They have a bitter and pungent taste with a flavour similar to anise and oregano. Ajwain smells almost like thyme because they both contain a chemical called thymol which makes them have similar smells. 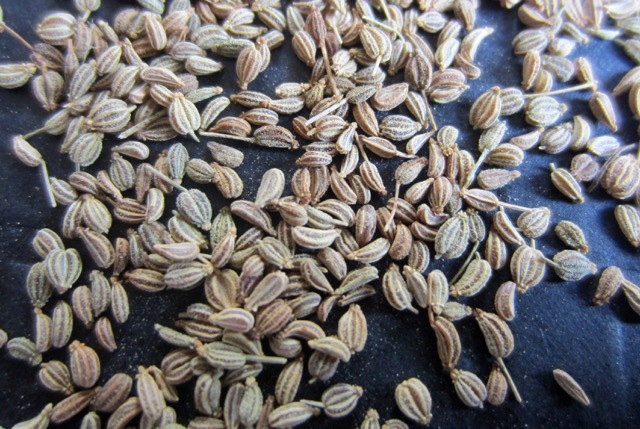 What are ajwain seeds used for? Ajwain is very aromatic with a bitter-pungent taste so it should be used sparingly in cooking. The seeds are never eaten raw, and should be dry roasted, fried or sprinkled over dough before baking. The seeds can either be ground with a pestle and mortar or rubbed between fingers (bruised) to release their aroma, before use. 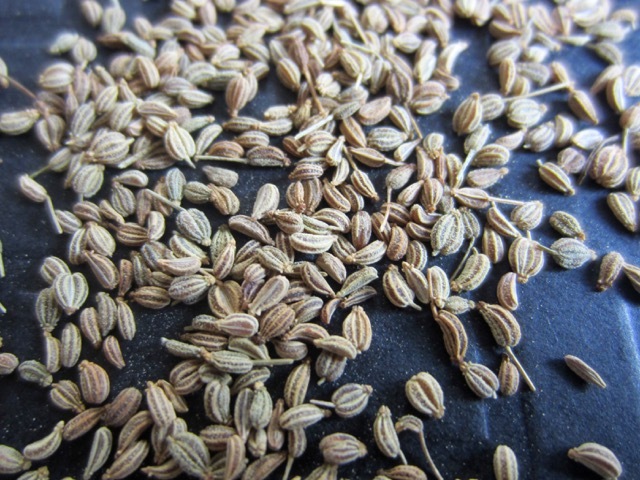 Since ajwain seeds are never eaten raw, they can be dry roasted or fried in ghee at the beginning of cooking. They can also be sprinkled on breads or cookies before baking. The process of roasting, baking or cooking results in a complex flavour and aroma, and reduces the pungency of the seeds. The seeds are used as a spice in Indian cooking for paratha (flatbread), vegetables, rice, pickle or lentils. In Afghanistan the ‘seeds’ are sprinkled over bread or biscuits before baking. Storage: can be stored indefinitely in an airtight container at room temperature. Other herbs and spices belonging to Carrot Family: cumin, fennel seeds, caraway seeds, dill, celery. Prev What is Instant Couscous? Next What is Chana Dal?